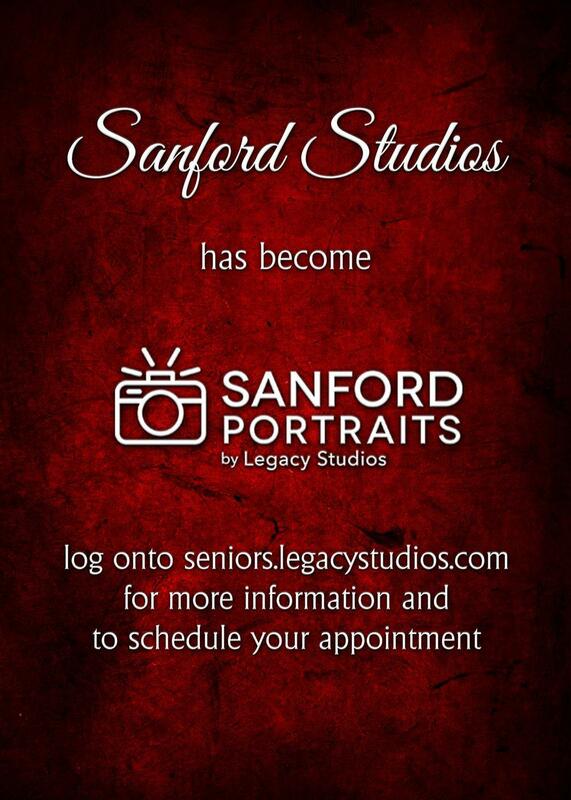 From now on, all senior portrait appointments can be done by each student online: https://seniors.legacystudios.com/. You get to pick the best day and time for your appointment, our dates are September 4 through the 7. You can prepay for their sittings, proofs are emailed shortly after the sitting, and all orders are placed online. Sanford sent a postcard to every senior, and they sent a text to everyone they had a cell phone number for. Remember every senior needs to take their senior pictures. Freshmen, Sophomores, Juniors – portraits for your school ID and yearbook will be taken on Tuesday and Wednesday, August 21 and 22. Parents – save money when you pre-order. After picture day, only regular pricing will be available. You can pre-order on-line: http://landing.legacystudios.com/. Enter the school code: 13035F19C. 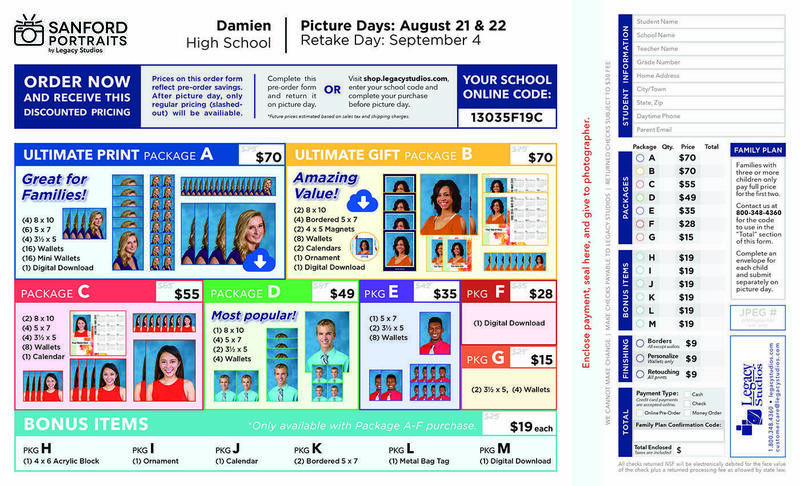 For packages and pre-orders, download and print the Sanford Portrait order form below. Complete the form and send with your son, including payment, on picture day.